Ali, Salim, and S. Dillon Ripley. 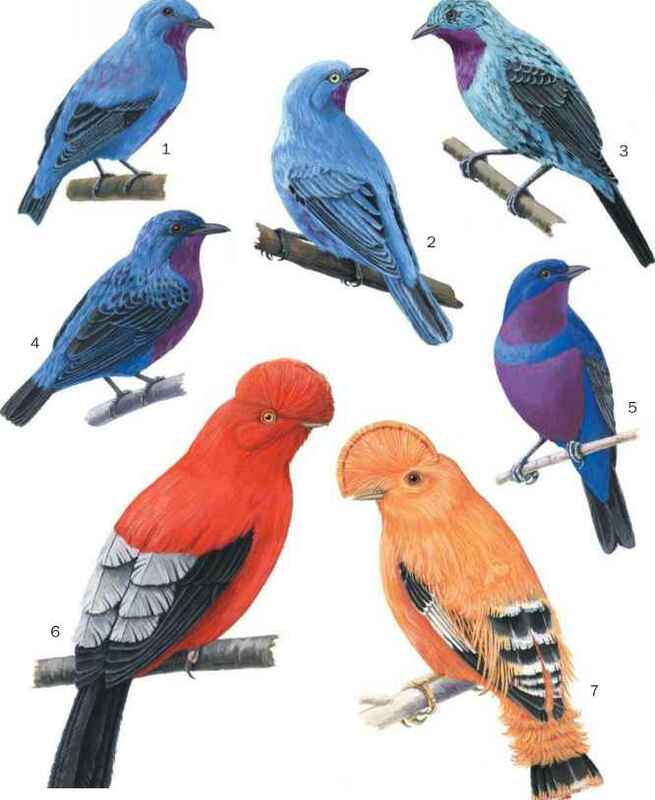 Handbook of the Birds of India and Pakistan. 2nd ed. New York: Oxford University Press, 1981. Brown, C., and M. Brown. Coloniality in the Cliff Swallow. Chicago: University of Chicago Press, 1996. Cramp, Stanley, K.E.L. Simmons, and C.M. Perrins, eds. Birds of the Western Palearctic. Vol. 5, Tyrant Flycatchers to Thrushes. Oxford, UK: Oxford University Press, 1988. Howell, S.N.G., and S. Webb. A Guide to the Birds of Mexico and Northern South America. Oxford, UK: Oxford University Press, 1995. Keith, Stuart, et al. The Birds of Africa. Vol. 4. New York: Academic Press, 1992. Meyer de Schauensee, R.A., and W.H. Phelps, Jr. A Guide to the Birds of Venezuela. Princeton, NJ: Princeton University Press, 1978. Ridgely, R.S., and G. Tudor. The Birds of South America. Austin: University of Texas Press, 1989. Sibley, D. The Sibley Guide to Bird Life and Behavior. New York: Alfred A. Knopf, 2001. Turner, A., and C. Rose. Swallows & Martins: An Identification Guide and Handbook. Boston: Houghton Mifflin Company, 1989. Bent, A.C. "Life Histories of North American Flycatchers, Larks, Swallows, and Their Allies." U.S. National Museum Bulletin 179 (1942).